Can Freezing Plastic Water Bottles Cause Cancer? Does Freezing Plastic Water Bottles Cause Cancer? 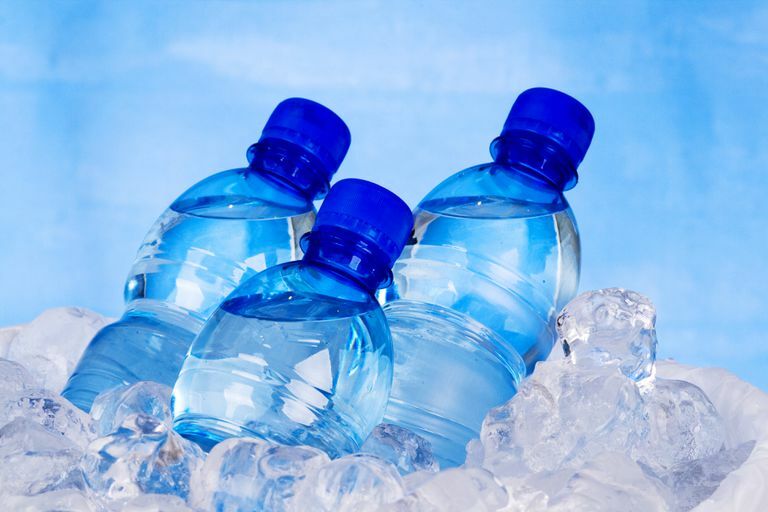 There have long been stories circulating on social media claiming that the freezing of water in plastic bottles can increase your cancer risk. On the surface, some of these facts seem pretty convincing, with supporting references from the likes of John Hopkins and the American Cancer Society. But if you take a moment to look a little closer, you start to wonder if any of the claims hold water. In the early 2000s, different versions of emails began circulating around the U.S. warning that the freezing of water in plastic bottles causes a chain reaction that releases a dangerous toxin, called dioxin, into the water once it thaws. Dioxin is a man-made compound that has been linked to a variety of health problems, including cancer. The stories were based on claims made by Dr. Edward Fujimoto on a television show in Honolulu back in 2002. What might have been easily forgotten news was suddenly turned into a media firestorm when a staffer with the American Cancer Society, believing the claim to be valid, began forwarding the report through the organization's social channels. By 2007, an email credited to John Hopkins Hospital also began making the rounds, further embedding the myth about the link between dioxin and plastic bottles. In response, the U.S. Food and Drug Administration (FDA) issued a statement denying any claims that the substances used to make plastics can leach into foods. The FDA is the agency that regulates not only the safety of our foods and drugs but so-called "indirect food additives" (substances that come into direct contact with food as part of the packaging process). In their statement, the FDA stated that the levels of chemicals that might leach into foods from plastic container were well within the margin of safety. They further stated that there was no evidence that plastic bottles or packages contain dioxin. The American Chemistry Council also chimed in, insisting that dioxins can only be created at temperatures of well over 700 degrees Fahrenheit. Given that neither the production nor the freezing of plastic bottles meets these criteria, it would be safe to say that the myth was officially debunked. While it's easy to laugh off medical hoaxes like this, they often create more harm than you might think. They create the impression that threats exist where they don't and lead people to seek out all sort of solutions that either waste their time or, worse yet, put them in harm's way. So that, rather than focusing on positive changes that can reduce one's cancer risk, people spend time changing things that don't need changing. American Cancer Society (ACS). "6 Steps to Help Lower Your Cancer Risk." Atlanta, Georgia; updated March 20, 2017. ACS. "Rumors and Myths Briefs: Microwaving Plastic Email." August 15, 2014. American Chemistry Council. "FAQs: The Safety of Plastic Beverage Bottles." Washington, D.C.